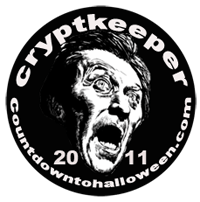 The following interview with UK comic legend, Dez Skinn was originally posted on my sister site, The Tainted Archive -however Dez is well known to British horror fans having edited the classic magazine, House of Hammer and so I am running the interview here. 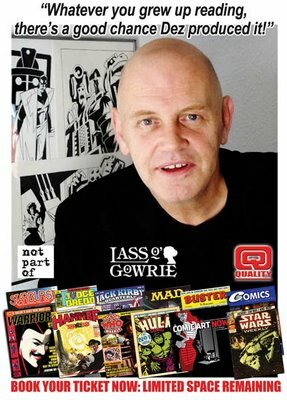 Dez Skinn is a legend in British comic books – Comicsbullitin called him, “the best known man in British comics with a reputation that proceeds him worldwide. Born in 1951, Dez has spent many years editing and writing comics and not for nothing is he often called, The British Stan Lee. Although a busy man Dez was only too gracious with his time when the Archive requested a question/answer session. Read on as the Archive proudly presents an interview with a true comic book giant. TA: You started off with IPC during what could be called the golden era of British comics. 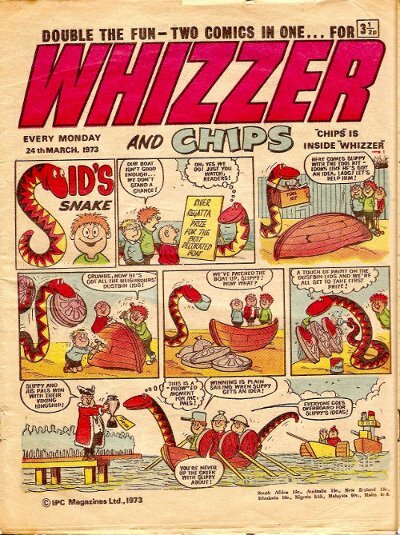 Tell us about working on such iconic titles as Whizzer and Chips, Cor and Buster. Were the humour titles of particular interest to you? DS: I actually started as a research chemist, but I was rubbish at that! Then following a stint with Yorkshire Newspapers, yes, I moved to London at IPC Magazines, at the time the world’s biggest publisher! It was a chap named Mick Anglo who I’d come down to see, but he didn’t need any staff so I eventually ended up on Whizzer and Chips! NOT where I’d wanted to be as I was a fan of everything American at the time, especially those lovely Jim Warren magazines, Creep, Eerie, Vampirella and Famous Monsters. Something about their format made them seem more grown-up than regular US comicbooks which you looked kinda foolish reading beyond being about 12! TA: What comics did you read when you were a kid and what got you into comics in the first place? DS:Like many of my generation, I learned to read (age 4!) from comics. Jack and Jill, Playhour, Swift, Beano, Dandy, Beezer and Topper. Then I moved up to adventure titles, Swift, Eagle, Victor, Hotspur, Lion, Tiger, Valiant, Hornet. Amazing the range that existed back then. My first exposure to Americana was seeing a Flash comic, (#111, if I remember correctly) while at the seaside in Scarborough. Full colour throughout and two complete beautifully-drawn stories? I was blown away! ON WORKING AT IPC “The most important rule of all was to avoid two words, flick and Clint. So no references to flick-knives or Clint Eastwood in British comics, no siree bob. The reason was simple, most comics were printed letterpress, where fine lines would either blob out or disappear entirely and the space between letters often fill in. That’s why you invariably saw exclamation marks instead of full stops, punctuation was paramount and you’d no guarantee a lettered full stop would survive the presses. TA:When you went to Warners you had to expand their comic range – did you have much freedom with titles like Korak, Tarzan and so forth? Did you have to get your stories OKAYED by the people responsible for the TV shows? DS: The board interfered on covers initially, always wanting hard-sell colours “Red and yellow, red and yellow…” so I stopped showing them any! But other than that, the amount of freedom was positively scary. When I was about to launch Starburst independently I realised I could write a House of Hammer editorial saying it was rubbish and people should drop it in favour of my new SF magazine! Not that that was true, but that’s how much freedom I had. Of course I was way too responsible to say such a thing. (And I’d have been fired when they’d read such in print.). It was no different with the licenced titles, but all the ERB material (Tarzan and Korak) was from the international pool that all licensees took material from. TA: What was MAD like to work on? DS: Brilliant! I’d adored it as a kid and it was great to bring my gang of writers and artists aboard. Also the respect the film industry had for the title was amazing (except for Stanley Kubrick who hated Borey Lyndon!). I got to meet quite a few stars and directors through it, so I was very pleased. It was also great to be able to put my “stamp” on the title, making it more film-related, especially with covers. You set up your own company to create Starburst. Why do you think that title was such a success? Its influence can be felt in modern Sci-Fi titles like SFX. ME: Ah, if only Starburst had kept up, there wouldn’t have been room for SFX! I knew Star Wars was a hit in America and had wanted an SF companion to my House of Hammer. So the timing seemed obvious, as Star Wars launched in the UK six months after its US summer debut. Wonderful for me. But my publisher felt that with Cinema X, MAD and House of Hammer they had enough film coverage in print, so I produced it in my spare times, in the evenings. But when I got the trade orders in, for 72,000 copies (almost three times what House of Hammer sold), I knew I’d got it right! TA:Is it true that Stan Lee asked you personally to take over at Marvel UK? DS: I knew Stan from his earlier UK visits, being in the industry. So by 1978 when their reprints novelty had worn off and were sliding badly in sales, Marvel asked me to write a report on how to turn their fortunes around. They chose me to ask as I’d beaten them to the shops with Star Wars coverage (despite them being the official licencee) and even ran a Spider-Man film story before them! Stan liked my report – even though I had to rewrite it lots of times so it wasn’t too critical (it was a paid gig, you can’t bite the hand that feeds you). He visited the UK and invited me to join him for a weekend to discuss my ideas. But he also asked me to implement them as the UK publisher! 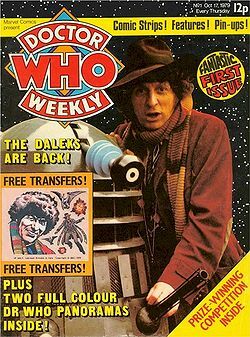 TA: You launched Doctor Who Weekly magazine. Tom Baker was the then current Doctor – did he have any involvement? DS:Not half! Tom and I toured the country launching the title. To the wholesale and retail trade and to the fans. A wonderful time I had of it. Tom was a real character! TA- When you left Marvel you seemed to vanish from comics for some time. What happened? I wanted to try something different. I’d done what I’d set out to at Marvel, made the company profitable again through revamps and new launches, so I didn’t want to just be a paper pusher, a production editor, so I left it in the hands of my assistants, who all got promotions and hopefully pay rises, so everybody was happy! Because I’d acquired lots of film contacts, through working in Columbia-Warner House in Wardour Street and through producing Starburst, Monster Mag and House of Hammer, so I thought I’d put them and my artist contacts together. I set up a design studio, offering storyboards and post-production work to film companies. My artist partner’s wife had been a fashion editor so we also did a lot of work for the fashion industry. The company was called Studio System and made a refreshing change from constant weekly and monthly comics and magazine deadlines. TA- Your comeback was with Quality Communications. 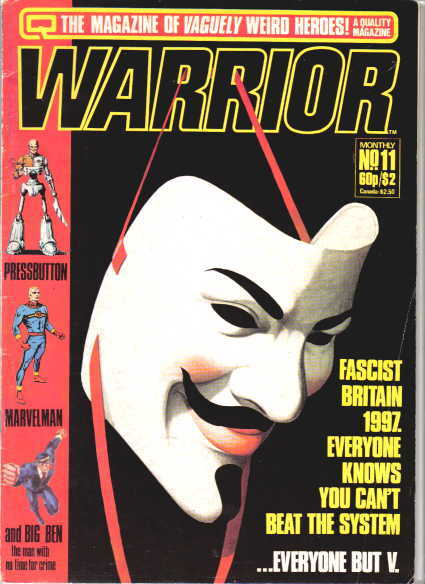 You published a lot of the 2000AD stuff then and of course you co-created V for Vendetta. Any stories of this period? DS: Hundreds of stories, that’s why I started my website (90,000 words to date and I’m not even out of the 1970s yet!). But Judge Dredd came much later. Studio System was great but we were a service company, only busy when needed. I wanted to be master of my own destiny again so I got back into publishing. As Quality Communications (so named to remind me to put quality above quantity) I first revived House of Hammer (as Halls of Horror because Hammer weren’t making films any more!) and launched Warrior as a creator-owned anthology. It was unheard of at the time, letting writers and artists own the material you commissioned from them. But it resulted in them producing their best work, so we got Marvelman, Axel Pressbutton, V for Vendetta (for which I still get my share of the royalty cheques from Warner Bros! ), Big Ben, Shandor – continuing from House of Hammer, and more. It put a lot of world class writers and artists on the map and won stacks of awards. It may have done a Jimmy Dean and died young, but better than than ending up like Elvis Presley! Then came the Judge Dredd US editions. That as meant to be like a Marvel UK in reverse, first making money from reprints and then using the profits to create new material (as I’d done with Captain britain, Night-Raven, The Black Knight, Doctor Who, etc for Marvel). But this time it was for America. Shame we didn’t last long enough to achieve my aim, I dropped out over cost-cutting greed after a year or so and left my printer to do horrible cheap stretched versions. TA-What did you think of the V Vendetta movie? DS: Brilliant. Film can never be 100% faithful to any other medium, whether radio, TV series, book or comic, it has to play to its own strengths. So considering it was Hollywood, who usually retain little more than the title, I was very pleased. TA-What do you think the British comic industry needs at the moment? DS: A young Dez Skinn! Somebody foolish, altrusitic and with a passion. And with the balls to walk the walk as well as talk the talk! For myself I’m busy playing in a new sandpit, the United Arab Emirates. TA:Why has the UK comic market shrunk? Do you think the reason is that kid’s now have so many other mediums to explore – MOVIES, 24HR TV, computer games? Will then comics ever demand their attention in the way they once did? DS: It happened in the US in the 1970s. There the newsstands stopped wanting comics, because they took up as much space as more expensive titles, but without the same profit incentive. Also there were so many different titles, and the sellers didn’t know which would prove popular and which would not sell (a problem with everybody having their own title – wisely avoided in the UK by us generally sticking with long-lasting anthology titles). But over here, the trade (WH Smith, Tesco, etc) are equally incapable of judging a good from a bad title, so nowadays they look at the quality of the cover-mounted free gift to assess the entire comic (utter nonsense, I know!). This has resulted in almost as much being spent on the “giveaway” as on the actual contents of the title. End product: higher cover price for a lesser item. Hence sales shrinkage, hence retail cutbacks leading to even lower sales. It’s not fair to blame alternatives to comics, there have always been alternatives. When I used to be in the thick of it, launching titles based on content rather than attachments, the publishers made the decisions and the trade (wholesale and retail) was thankful that anybody would produce things they could sell and make a profit from. Now they seem to be calling the shots, with publishers brow-beaten by people whose expertise is in selling confectionery. Madness! TA – I have always thought the nostalgia market has not been tapped to its fill potential. I’d love to see a glossy monthly featuring reprints from old IPC titles like Battle, Action, 2000AD etc. If you could produce a dream title of reprints what stories would be included and why? 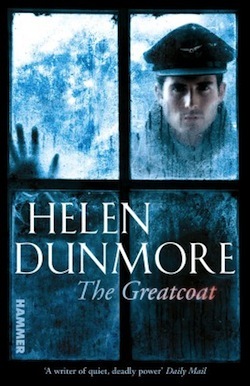 TA:Sorry, but for me “a dream title of reprints” is somewhat oxymoronic. While I’ve dealt with more than my fair share of reprinted material — from MAD to Marvel to Fleetway/IPC material — it has always been as a means to an end. The end being that cheap reprints, if they sell well, provide a budget for new ideas. With new ideas you can merchandise and license, for foreign editions and films, with reprints your hands are tied. They’re low-risk, but preaching to the converted. I’m more the missionary sort, ever wanting to bring new people into the fold. …a lifetime’s work, both in progress and still under construction. 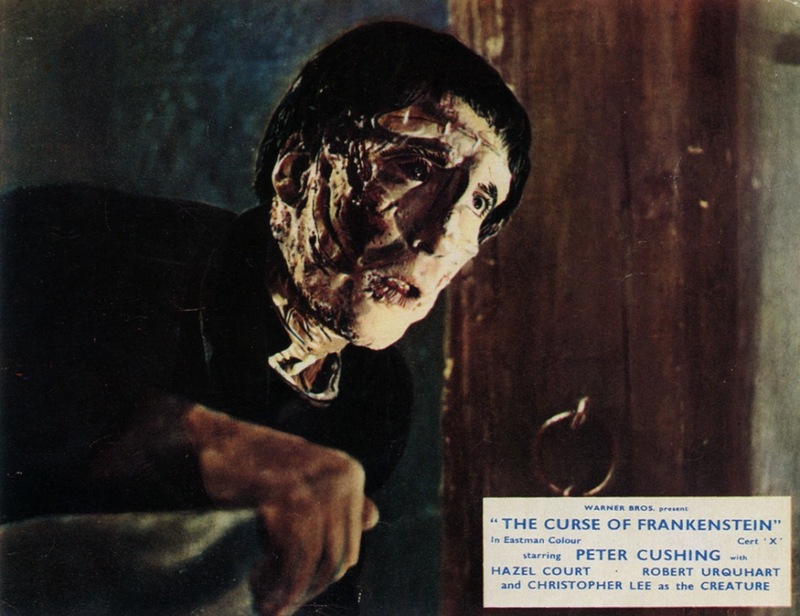 Knowing that they couldn’t replicate the monster make-up from Universal’s classic Frankenstein series, British film studio, Hammer took a different tack and made Baron Frankenstein the real mons ter of the piece. This was hinted it in Universal’s series but Colin Clive’s Baron Frankenstein, although driven by his work at the cost of his personal life, didn’t come close to Peter Cushing’s Baron in terms of ruthlessness. Where Clive’s Baron would rob from graves to secure body parts, Cushing’s Baron gets his own hands dirty by resorting to murder. 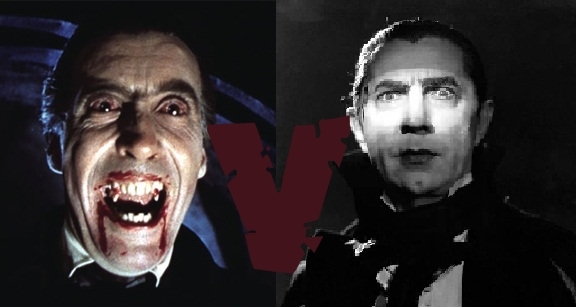 Both versions are excellent movies and although Universal’s has the edge simply because of Boris Karloff’s stunning performance as the monster, Hammer’s film comes a close second. 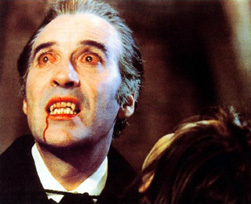 Christopher Lee’s make up has been described as looking like a car crash and perhaps for this reason he is unable to create sympathy with the viewer, but then the film doesn’t take that direction – Lee’s monster shambles about like an ill coordinated drunken lunatic. One heavily cut scene involving the monster coming across a blind man in the woods is a direct play on a similar scene in Universal’s original movie. At the end of it all though, Curse of Frankenstein is a classic movie that any horror fan worth his/her salt will want to seek out. 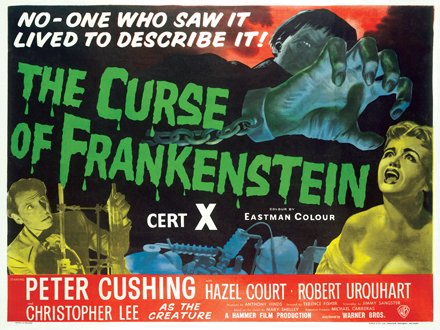 It made a mega star of Peter Cushing and was the first time those two horror heavyweights Christopher Lee and Peter Cushing appeared on screen together. 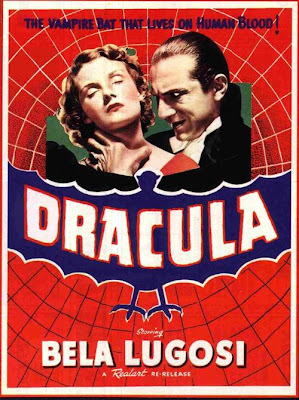 A great screenplay from Jimmy Sangster and effective direction from Terence Fisher makes this movie one that will be watched over and over again. It’s just a pity the DVD release doesn’t contain any real extras – this is, after all, an important film in the history of British cinema and kickstarted Hammer’s horror cycle.